This Coleman Oak Canyon 4 review is about an impressive tent with 3 rooms and with a blackout design that blocks 99% of the daylight. With 4500 mm waterproof rating it is suitable for any conditions in a 3-season use. Coleman Oak Canyon 4 Tunnel Tent. 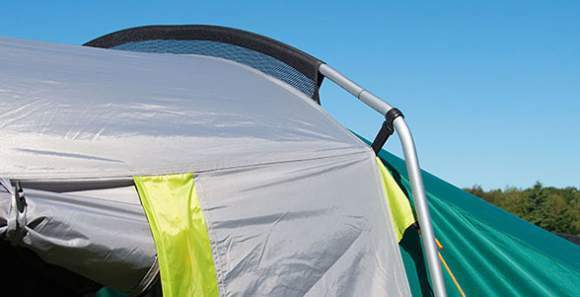 This tent has quite a number of great features. The mentioned three rooms, its PVC windows, two entry doors, plus its 78.7 inches (200 cm) height make it a very pleasant and livable structure. But see more about all its features. The bedroom temperature is lower up to 5°C during the day. This is remarkable. The tent is up to 1º C warmer during the night. They claim this is because of the energy absorbed during the day, and I am not sure if this sounds logical for such thin materials. Besides, 1º C difference doesn’t look so much. They claim certified laboratory testing for their fabrics which provides an SPF 50 protection against the ultraviolet rays. This is very impressive and necessary in particular if you have your basecamp at a high elevation. Spacewise, it is best to check the area per person. 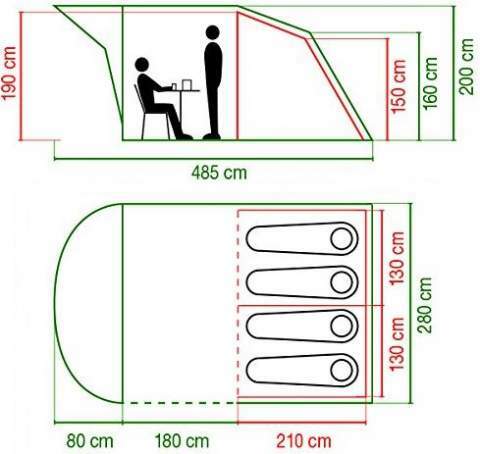 So here you have the total inner area of 122 ft² (11.34 m²) and this means 30.5 ft² (2.84 m²) per person if it is used by 4 people. Though the actual area is a bit smaller because of the space left between the inner tent and the shell; in any case, this is a totally luxurious configuration. Observe also that the living room has more than 5 square meters of the area, and its dimensions are great 180 x 280 cm. This zone is also fully sealed so two people can sleep here as well if necessary. All in all, the declared capacity is definitely more than realistic regardless how you use the rooms. 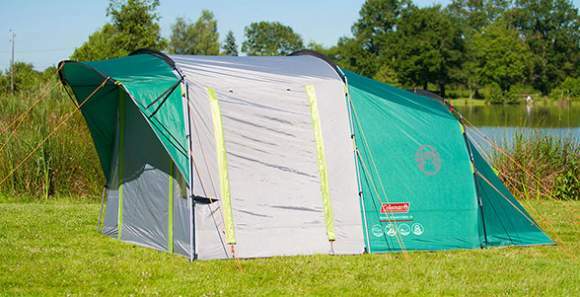 Seasons-wise, you will see more below about its impressive waterproof rating, so this tent is suitable for any conditions in a 3-season use. Weight-wise, well this is not its best side. The tent is heavy, you have no less than 41.4 lb (18.8 kg), but there are good reasons for such a weigh. So if you accept the fact that this is a car camping or base-camping tent, the weight is secondary. You are not supposed to carry it in any case. The side view with closed doors. Observe how the awning protects the front door. Here you have a really good combination of 4 steel and fiberglass. So the two main arch poles are completely steel and the shorter third arch pole on the back is fiberglass. The additional porch pole is also fiberglass. They are color codes and pre-curved, see the picture below, and this adds quite some headspace in the already voluminous tunnel configuration. This is the back vent. You can hardly find any objection to the materials used in the construction. To start with the groundsheet where you have a polyethylene plastic material with welded seams. So this is completely waterproof structure and about seams in general you can read more in my another text. Here just to stress that welding is the best possible sealing for such a material. Note that this is a bathtub design. The shell is a PU coated polyester with an impressive 4500 mm waterproof rating. It is also fire retardant and you have seen already about it UV protection. All seams are taped. 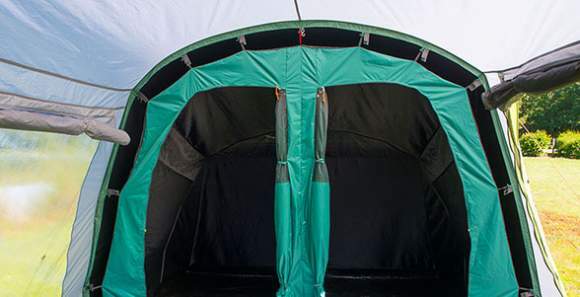 The inner tent is a breathable polyester, a dark material as described in the video above, and you can see it in the picture below. Note that the inner tent’s floor is the same waterproof PE so you have two floor layers in the sleeping area. The sleeping zone with two doors, the blackout area. There are 3 PVC windows in the living room, so this is a very pleasant environment with views on 3 sides. All of them are with shutters from inside so you have privacy and this also reduces the daylight. The entry doors are double-layer structures, both with the shell waterproof fabric plus a mesh. The front awning protects the front door quite enough so you can keep it with mesh most of the time, dependent on the wind direction. 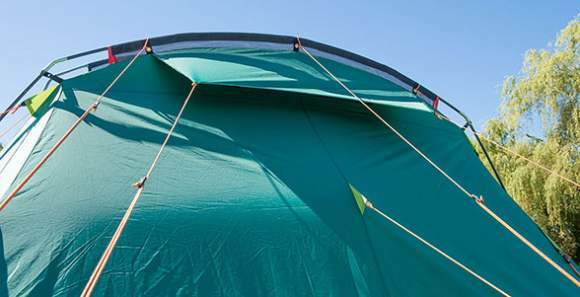 The inner doors’ material is the same as the inner tent but you also have mesh in the upper sections. There should be no issues with ventilation here. You have a large floor vent in the living room with 3 Velcro stiffeners so you can keep it open all the time, plus a high vent on the back of the sleeping zone (shown in one of the pictures above). This can be combined with the mesh on the two doors for an optimal ventilation. There are series of pockets in the sleeping rooms on the sides. There is a zippered electric cable port in the sleeping room and you also have Velcro tabs to fix the cable and pass it to the apex where you have a lantern hanging loop. It is best that you see the video below. The setup is typical for a tunnel tent, quite easy and intuitive and you will need around 10 – 12 minutes. Weight: 41.4 lb (18.8 kg). Ground dimensions: 159.4 x 110 in (405 x 280 cm). Total inner area: 122 ft² (11.34 m²). Area per person: 30.5 ft² (2.84 m²). 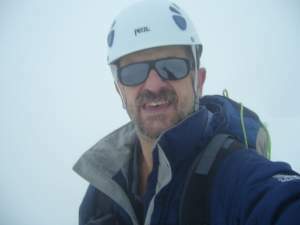 Peak height: 78.7 in (200 cm). Packed size: 28 x 13.8 x 12.2 in (71 x 35 x 31 cm. In the table below I give this Oak Canyon 4 side by side with two other top-notch tents. They are built in a somewhat similar style as car camping tents but the differences in the technology are very big. Please follow the links in the table to see more. I would conclude this Coleman Oak Canyon 4 review with the following: this is an expensive but top quality tent with plenty of great features which make its steep price justified. Think about its impressive waterproof rating, about its blackout design, about the double layer waterproof floor in the sleeping area, its PVC windows. There is not much one could say against such a tent. I have included it in my list of best car camping tents for 4 people. Note also that Coleman has yet another tent built in the similar style for 5 people, the Coleman Rocky Mountain 5 Plus tent. But if it is not what you want, you have seen some options in the comparison table above. See also this Vango Omega 350 which is a bit similar but far more affordable. If you want something totally different, check this Snugpak The Cave 4 which is a backpacking option, or this Eureka Suite Dream 4 in the same backpacking style. Want a cabin style tent? Then check this ALPS Mountaineering Camp Creek 4 Tent. Thank you for reading. Please let me know if you have questions or comments, there is a comment box below. Have a nice day.